The key to controlling invasives is to be sure they don’t get where they don’t belong, according to The Nature Conservancy (nature.org). The environmental nonprofit says that the best way to fight invasive species is to prevent them from occurring in the first place. Every consumer can play a role in stopping the introduction and spread of invasive species. Verify that the plants you’re buying for your yard or garden are not invasive. Replace invasive plants in your garden with non-invasive alternatives. Ask your local nursery staff for help in identifying invasive plants. Don’t release aquarium fish and plants, live bait or other exotic animals into the wild. If you plan to own an exotic pet, do your research and plan ahead to make sure you can commit to looking after it. So what are some of the most invasive species? The Smithsonian says purple loosestrife is one of America’s most pervasive invasives. 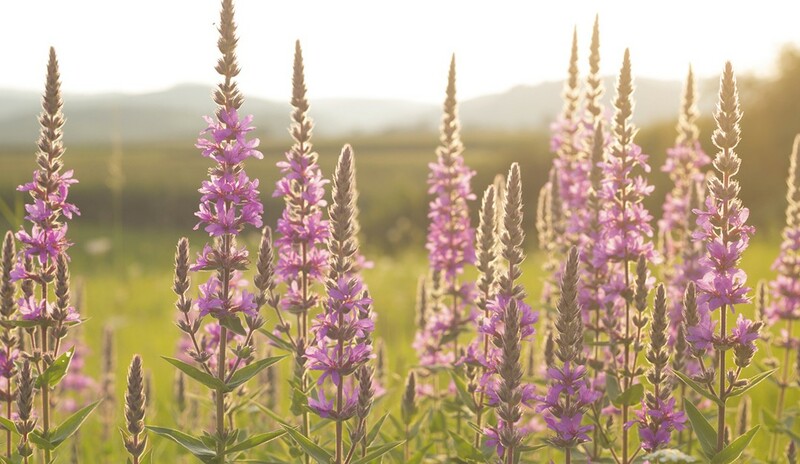 Purple loosestrife can become dominant in wetlands, producing as many as two million wind-dispersed seeds annually with underground stems growing at a rate of one foot per year. Japanese honeysuckle is another aggressive vine prolific throughout much of the East Coast that smothers, shades and girdles other competing vegetation, the Smithsonian says. In the Southeast, kudzu grows at a rate of up to one foot a day and 60 feet annually, smothering plants and killing trees by adding immense weight, girdling or toppling them.